1984 Nissan 720 Pick Up Truck - Contrary to what it may sound like, I don't have a real problem with customized cars. It's just that many people, especially those with older Japanese cars, don't know when to stop. The cars wind up looking like something out of a cartoon and are almost undrivable. This guy knew when to stop. This is a really nicely restored / customized Nissan 720 pick up truck. Best of all, everything the seller did to this truck is, as he wrote, "nut and bolt reversible". If you don't like something it shouldn't take too long to remove it. I could do without the "Flame Ball LED illuminated shifter", but other than that, this truck is something I'd own and keep as is. 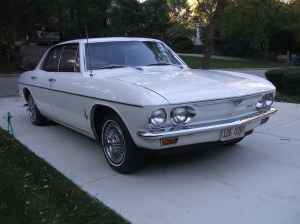 1966 Corvair Monza - I like Corvairs. When I was younger I owned a bunch of them. Spyders, Corsas, convertibles and 140 HP cars still turn up in big numbers at car shows. However, 4 door, automatic transmission, 110 HP cars like this one rarely do. Take a look at the pictures of this car (there are only 4). It's a nice looking sedan. It has aged well. This car, in both style and engineering, could have come from Europe. This Corvair has factory A/C. The condenser sits on top of the engine and folds up out of the way when you need to to maintenance. It also has wire wheel covers, which, if they're factory Corvair wheel covers, are fairly rare. The price, $5600.00, seems high at first, but how many unmolested, 65,000 mile, 1966 4 door Corvair Monzas, with A/C and wire wheel covers can there be left? Located in Homewood, IL, click here to see the Craigslist ad. 1991 Lotus M100 Elan - In terms of sales, the Lotus M100 Elan was a total failure. General Motors, which owned Lotus at the time, invested £35 million in it's development. Lotus managed to sell just 3,855 cars. There are plenty of theories as to why the car failed. 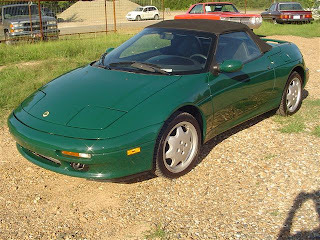 A global recession, the introduction of the Miata, the GM connection, a prejudice against an Isuzu based engine in a Lotus (even though originally, before GM bought Lotus, the car was to use a Toyota engine), it being a FWD car, etc. etc. The reality is that this was a fun and incredibly reliable car. The Isuzu based turbo engine pumped out 165 HP and propelled the car to 60 in just 6.5 seconds. It had a top speed of over 135 MPH. It is not unusual for these cars to see 150,000 miles or more before needing any major work. The engines can go 200K+ without ever being taken apart. Those were unimaginable numbers for any previous Lotus. This is a nice, unrestored, 40,000 mile M100 Elan. BRG is a great color on these cars. Located in Richardson, TX, click here to see the eBay listing. 1991 Alfa Romeo 164L - I just dropped some real money on my BMW. The winter - and the potholes that come with winter - had not been kind to it. After giving the idea of selling it some long consideration, I decided to replace the broken / worn out suspension parts and keep it around. Had I seen this car prior to spending the money on the BMW, things might have been different. I've had many Alfas in my life. I loved them all. I haven't yet owned a 164. Yes, the 164 is FWD and yes, it can be a bit of a pain to work on, but still... How can you not love that body? Best of all, that gorgeous body is propelled by one the best V6 engines ever built. 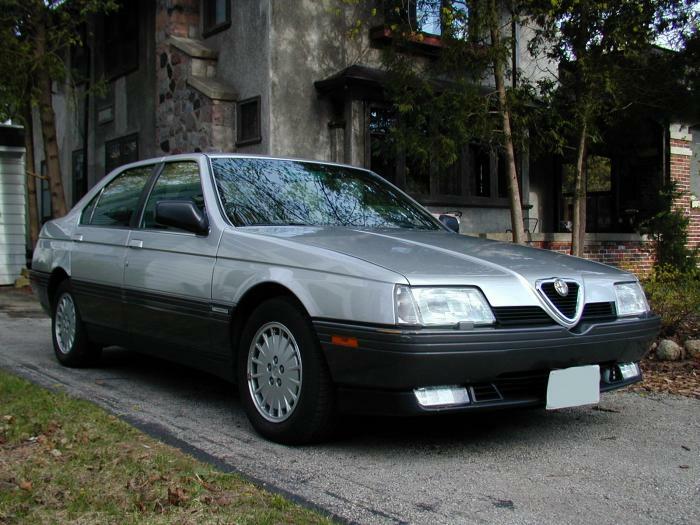 This is an incredibly nice 1991 Alfa Romeo 164L. The seller, who is listing it for the "older", "not computer savvy" owner, writes, "I wish I had room for it". Me, too. Located in Milwaukee, WI, it is listed on the Alfa Romeo Bulletin Board. You can find it here. Thanks to JaCG reader, William, for sending me the link to this car.